Every year when the Sockeye salmon draw to their spawning grounds, the brown bears congregate at the Brooks River Falls. 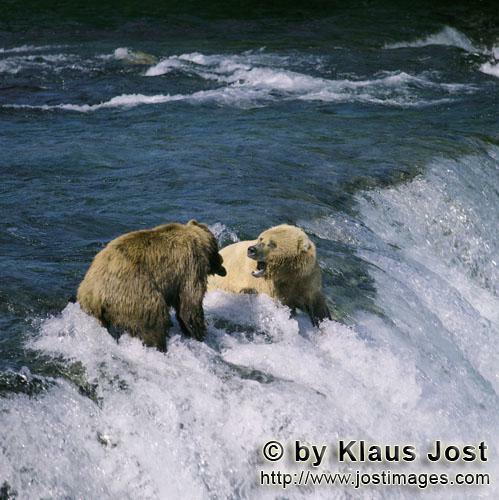 The bears are at a strategic place and waited for a leaping salmon. Disputes are the order of the day. Disputes are the order of the day.